Seniors require special care and attention especially when they start showing the symptoms of Alzheimer’s or dementia. These conditions affect memory, thus, making a person incapable of performing even the simplest tasks. Seniors who have these conditions may behave entirely differently than how they did before, making it overwhelming and distressful for you to care for them in the long run. As the conditions progress, the more seniors will require 24/7 supervision and care. For this reason, it makes sense to consider assisted living in San Antonio TX. When home care has become daunting for you and your family, it is time to consider bringing your loved one to a high-quality assisted living facility in San Antonio. There is no need to feel guilty or feel as if you are giving up and abandoning your loved one. 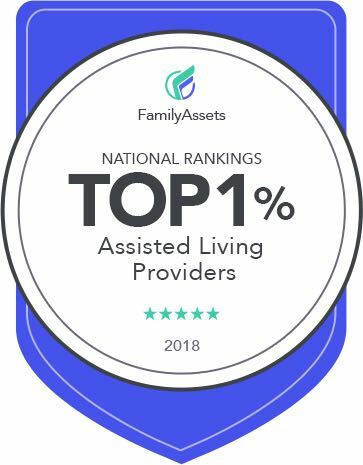 By choosing assisted living, you are prioritizing your loved one’s needs, safety, and well-being, as you can be sure that he or she will be cared for by a professional staff. Assisted living is different from a conventional senior home or nursing home, as it ensures seniors regular living conditions in an environment where they can feel like they are home. The best assisted living facilities in San Antonio TX provide care programs that are tailored to each resident. They maintain a small number of residents, too, to avoid overcrowding, which may aggravate and cause anxiety and tension in seniors suffering from dementia or Alzheimer’s. They provide a caregiver for every five residents, too. That way, you can be sure that your loved one is getting all the attention he or she will need, while being in a safe, supervised, and dignified environment. Consider arranging a visit to a reputable assisted living facility in San Antonio TX for a tour. That way, you can learn more about it and talk about the bespoke care programs with the staff. Consider a facility that has cutting-edge medical facilities and comfortable rooms that are tailored to the lifestyle and needs of every resident.